This is the season of giving and IPS Solar proudly supports a number of organizations right here in our community. Not only do we support organizations that are important to our employees but also those in and around our headquarters here in Roseville, MN. The education of children is a strong initiative here at IPS Solar. 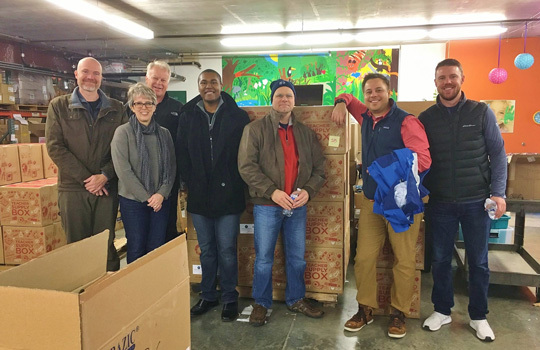 Along with our Sunrise Program, the IPS Solar crew takes time out of their day to visit our business park neighbor, the Kids in Need Foundation. The Kids In Need Foundation works to ensure that every child is prepared to learn and succeed by providing free school supplies nationally to students most in need. We had a great time packing school supplies to send to the hurricane affected gulf coast and will continue to break volunteer records with them in the future. These types of outreach really brighten our crew’s days and we’re so happy to be working with such an upstanding non profit like Kids in Need. This entry was posted in IPS Solar on December 20, 2017 by Kyle Wehnes.